That dress has such a pretty print! And I love the belt! Totally you! You look so wonderful fresh in this beautiful summer dress! This dress reminds me of the beautiful china-inspired dresses that walked down the Valentino runway a few years ago. 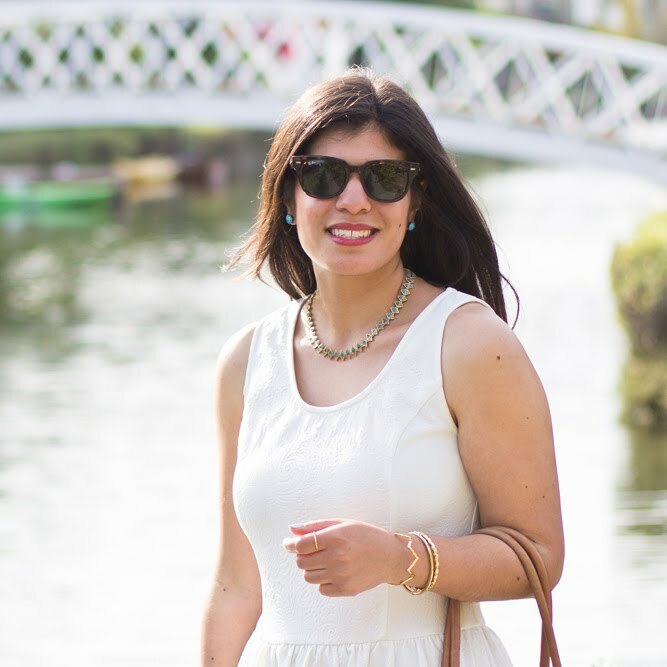 Blue and white has never been my colour palette (unless we're talking navy, and then maybe) but those dresses could have changed my mind if anything could - and I think your dress could, too! 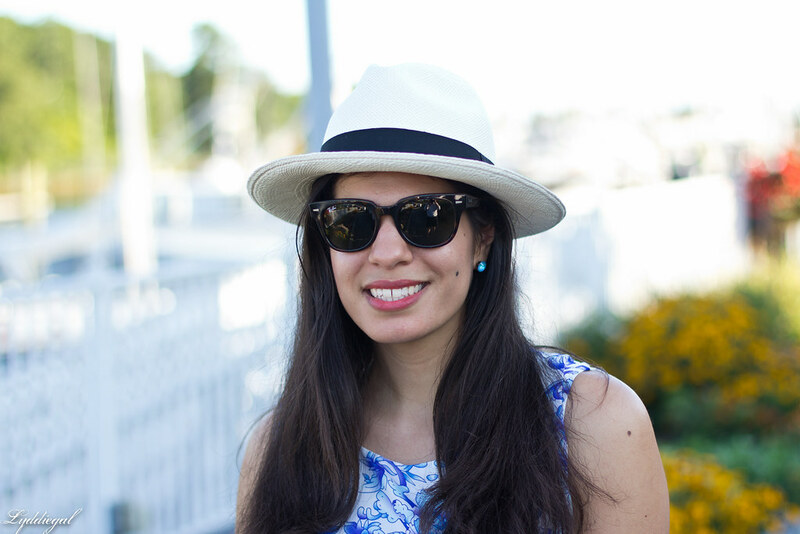 It's so lovely to still see summer photos on your blog, although I'm hoping summer will come back to us at least for this weekend, it's been rainy and about 12 degrees celsius for the past week... definitely not how I wanted to end my summer. Great outfit and love the belt!! I see it is only available now in xxs - what size di you find worked for you? Love the bright colors against a white background! It's so pretty with your anchor belt! I think you are the master of the summer sun dress...this just further proves my theory. This is so summery and so pretty! 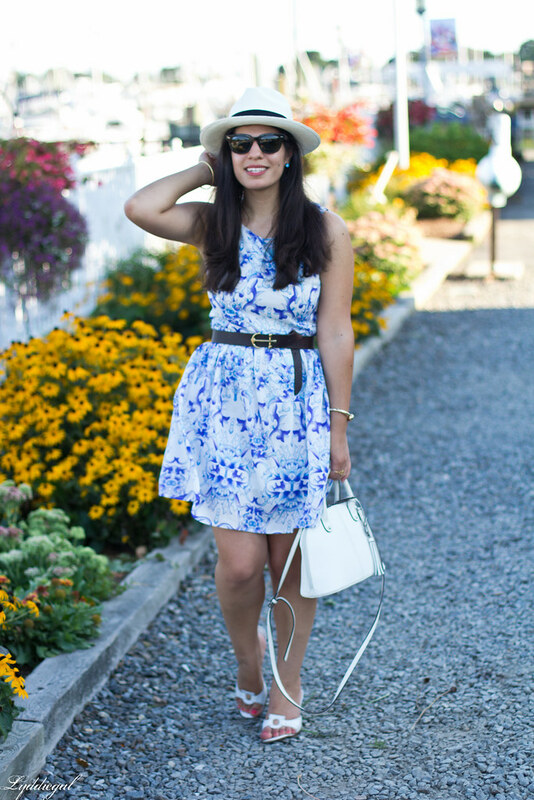 I've always loved that belt - and now paired with that fabulous dress: it's the perfect match. That's such a fun print on that dress, and I love it with the dark leather belt too. 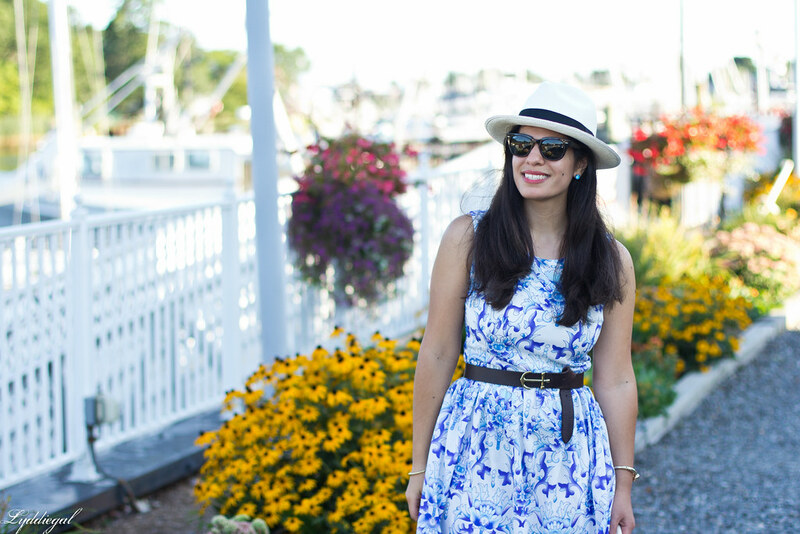 What a pretty dress and always love all your great nautical accessories. Wow, I love your dress, it's wonderful and the outfit is gorgeous, too! love this pretty print, looks like fine china. 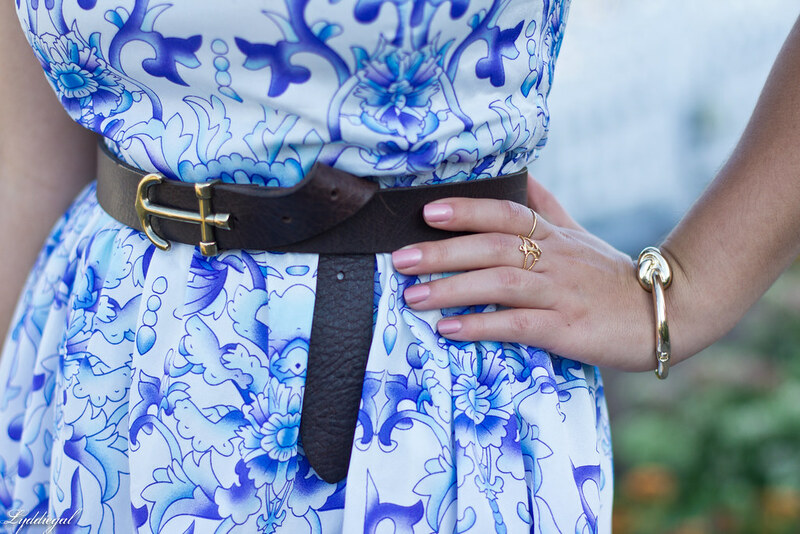 i love how you accessorized this look! fantastic! 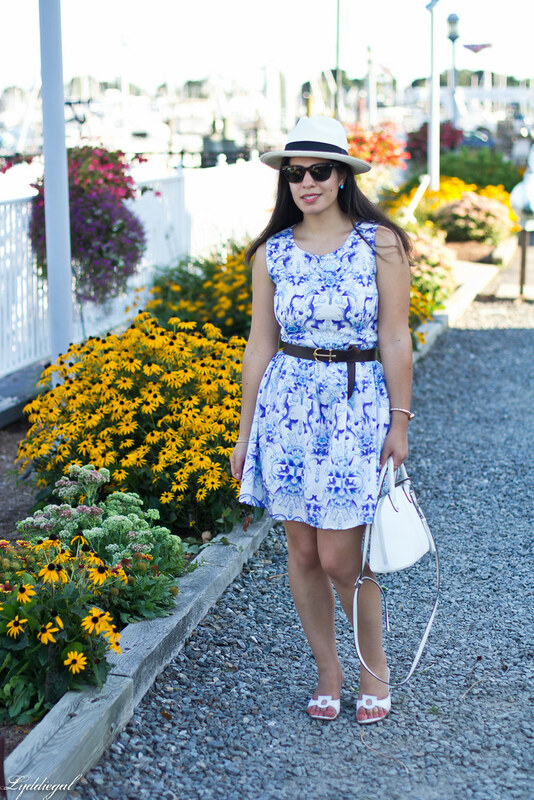 Love that you paired this dress with this white bag and white sandals. You look great. 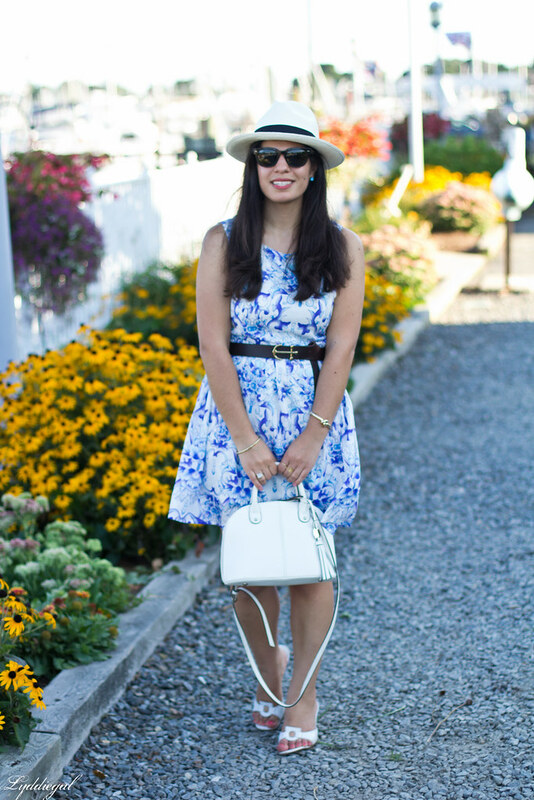 Omg this dress is darling on you! 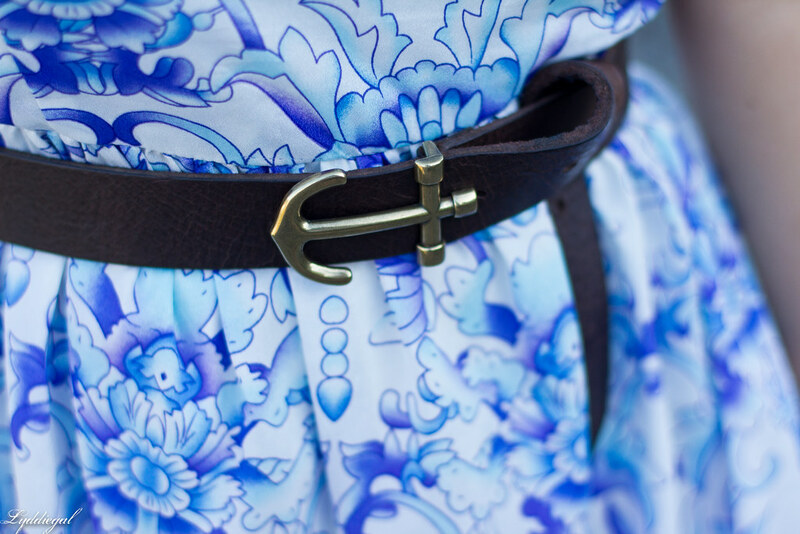 The print is so gorgeous and I'm obsessing over that anchor belt! So perfect! 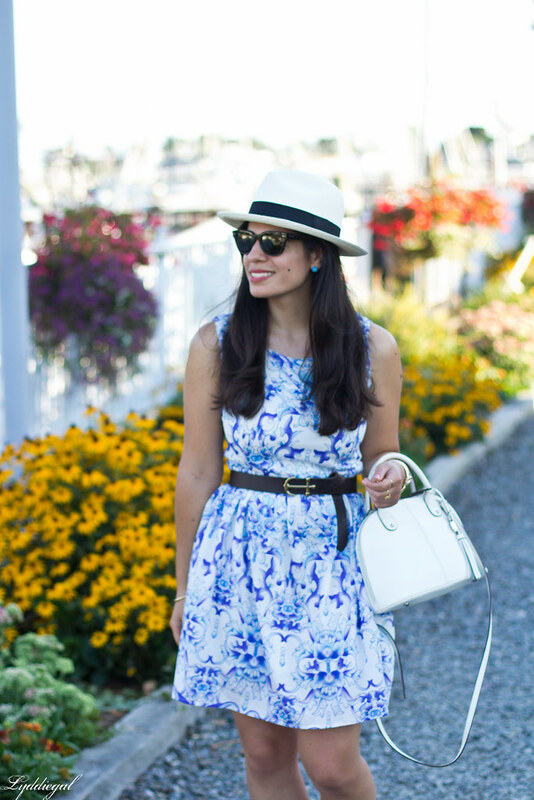 i love the white and blue on you--beautiful dress and pattern.